In a roughly similar manner, a black hole emits a tight beam of X-rays. Considering how inseparably linked gravity is to magnetism and the various parallels between the two, perhaps the answer will be or has been found in the intimate study of their shared commonalities. One may compare a magnetic field to a source of light, on a certain level. Consider that magnetism is somewhat like coherent gravity, and ferrous metals a 'frequency doubler' of sorts. Gravity, more akin to 'white light' attracts all matter, a function of it's mass density. A small magnet of high field density will exhibit more energy potential than a larger less dense field, ie. small neodymium or YT magnets versus much larger ceramic magnets. Magnetism of sufficient field density can be easily demonstrated to attract and repel non ferrous matter via their paramagnetic and diamagnetic properties. Magnetism may be thought of as 'coherent gravity' of a particular 'wavelength' or gravity may be thought of as 'full spectrum magnetism'. Now, as for the parent and causal agent of magnetism itself, it is not for me to say......but once again a parallel can be made. Consider that the permanent magnet ejects particle strings from each pole which, due in part to angular momentum, follow a curved path which eventually intersects, where the two 'flavors' of spinning strings are joined together to complete their path to their target pole to be reassimilated, their combined energy restructured and re-ejected....ad infinitum. The black hole does much the same with matter. The matter it captures fluctuates rapidly between it's two flavors.....matter and energy in a perpetual cycle. So both are 'holes' in a sense that particles are in a perpetual state of 'falling'.....never finding a 'bottom'. I will share with you an interesting story. I happen to own a fairly rare collection of periodicals which highlight various peculiar developements in man's history. 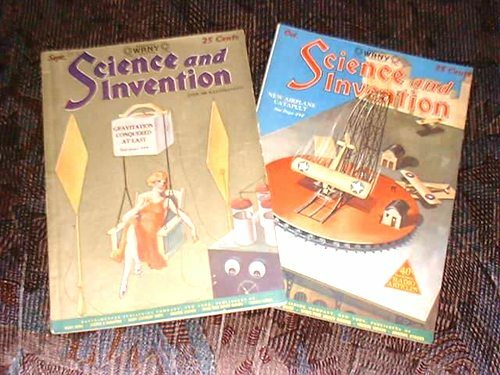 Two of these are the Sept. 1927 and Oct. 1927 issues of Science and invention magazine. The first deals with a supposed discovery made by the Germans in the early 1900s......some of you surely already know the articles of which I speak. Two researchers, Kowsky and Frost apparently were studying the piezo-electric effect in rochelle salt crystals and came upon an odd discovery. Suffice it to say, further research with quartz crystals seemed to reveal a change in atomic structure.....the quartz is purported to have stretched in proportion on all sides and became quite opaque. Also, when subjected to extended excitation from high tension DC current through the crystal while subjecting the crystal to HF radio energy perpendicular to the flow of electricity, the crystal became quite buoyant managing eventually to suspend some 55lbs above the table. The article was heralded on the cover of the Sept. issue and was reported in all seriousness ending with words to this effect: " this report appeared in a reliable german periodical, Radio Umschau". The following issue carried a small piece decrying the former article a hoax perpetrated purposely by the editor to demonstrate how easily fooled people are. The statement was also made that the 'wise' reader was warned by a supposed statement in the first article to have, in effect, 'stayed tuned to a forthcoming issue where more information was to be revealed'. The inference was that the statement supposedly made in the first article was a 'dead give away' to the 'wise' reader that the 'hoax' would be revealed in the next issue. Problem was, the first article never carried such a proclamation. Also, the wording of the second article alluded to the possiblity that the editor was as 'fooled' as anyone else by the report. The mere connotations of 'hoax' were obviously enough to bury the story in the mind of the general public. If it were not for a serendipitous event that took place in 1986 at 'Hill 611' near Dalnegorsk, Russia, I too would perhaps have remained uninterested in the possibilities regarding the nearly 100yr old Kowsky-Frost announcement. Apparently, a UFO crashed on Hill 611 and debris was recovered which contained a matrix of fine gold wire substrate sheathed in quartz. One can readily imagine a scenario involving the skin of the craft, or portions thereof, being covered with the material charged electrically by the gold wire and subjected to the proper RF energy perpendicularly from within the craft. So, if the Kowsky-Frost announcement was a hoax, then what a coincidence indeed! Perhaps other astute observers of the 'hoax' from 1927 were not content to leave such a stimulating stunt lie dormant between the dusty pages of old magazines.......but if so, who would they try to fool? As far as I am aware, no others have revealed this serendipitous, albeit tenuous, connection between the two events. IF these two events share a basis in reality.....then, of course, the implications are thought provoking indeed. It would certainly explain much since the early twenties......my thoughts turn to 'foo fighters' 'Nazi saucers' 'flying triangles' and such. I can relate in all honesy that I have personally witnessed a variety of craft that I am sure, could not be produced by man, as well as various other craft which I am certain were man made although to the casual observer would certainly be perceived otherwise. On one particular occasion, my wife, 12yr old nephew and I were travelling between two small towns in my home state of Nebraska and were passing the local airport/golf course situated between the two towns. I noticed a very bright light at the far end of the runway and pulled over. I happened to have my 10x32 binocs with me and placed them on the top of the car for a steady view of this hovering light which did not require me to adjust the binoculars from sided to side and the object neither increased nor decreased in size. Now, I should point out that as a former USAF trained Special Weapons Security Specialist, I have seen myriad flying craft from many vantage points and can guess distance and size very well. This craft was likely just under a mile from our location and about 200 feet from the ground. I watched the craft sit there in a constant 15-20mph crosswind as it faced us directly. 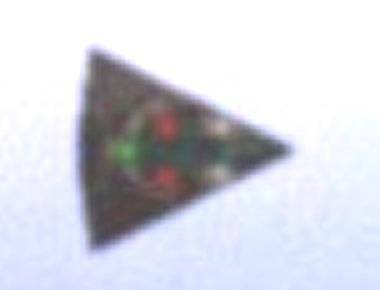 I could apparently see into the craft through it's windows and detected motion of its occupants. On a side note, I can vouch for the old saying, "the squeaky wheel gets the grease", as my wife was growing increasingly vocal about me "hogging" the binoculars! I watched this craft sit there, motionless for a few minutes and then handed her the binocs. No sooner had she grasped them than the craft disappeared. We had only a split second to register our mutual surprise visually to one another when the craft was overhead! It had covered the mile or so between us in an instant and then slowed down to glide over us at only 150ft above the ground. As it slowed over us, I could make out the craft's distinct shape and size. As there was a full harvest moon out, I could see well that it was a wedge shaped craft, slightly rounded at the back with a somewhat rounded ledge slightly aft amidships on the bottom. The craft was about 70ft in length and only a bit less than that in width. Perhaps needless to say, my 12yr old nephew would not be pried from the car during this experience. Probably not even with the oversized crow bar borrowed from my dad's 1 ton truck that I kept stuffed in my little Honda's trunk! One other point of note, the craft went from total silence over the airport to emitting a rather 'tinny' sounding approximation of a single engine plane....believe it or not. It was as if a switch was flipped, turning on an attempted camouflage sound. It was hilariously surreal as we could easily see the craft and it's shadow as well, while it attempted to sound like a prop driven plane! 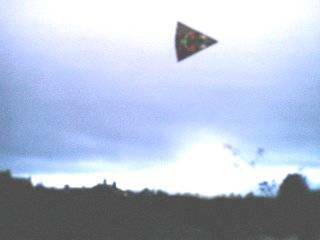 I have had various sightings over the years, broad daylight and night, of these craft and many other....much stranger craft. P.S. At your request, I would be happy to share any helpful information I may have, as relates to the nature of gravity and magnetism, both positive and negative. This communication is submitted to you with my confidence that it may be disseminated at your discretion and with understanding that my name should remain withheld.